Many homeowners are reluctant to replace their windows. Replacing every window in your home can be costly, but doing so can also save you a substantial amount of money in the long run. In today’s post, we’ll outline a few of the signs indicating that it might be wise to purchase replacement windows for your home. If you’re looking for replacement windows in Kansas City, Blue Springs Siding and Windows is here to help! Our friendly and professional staff can help you find the perfect windows for your home. Is your energy bill steadily climbing, despite your efforts to keep it low? If you’re like most Kansas City residents, you probably pay close attention to your energy usage, and if you find that your energy bill is suddenly rising, or has been slowly rising for a number of months, your windows may be to blame. Old and decaying windows can leak warm and cold air, making your HVAC system work harder to heat or cool your home. If you notice a draft when you’re in certain rooms, you should strongly consider replacing the windows in that room, and potentially even your entire home. 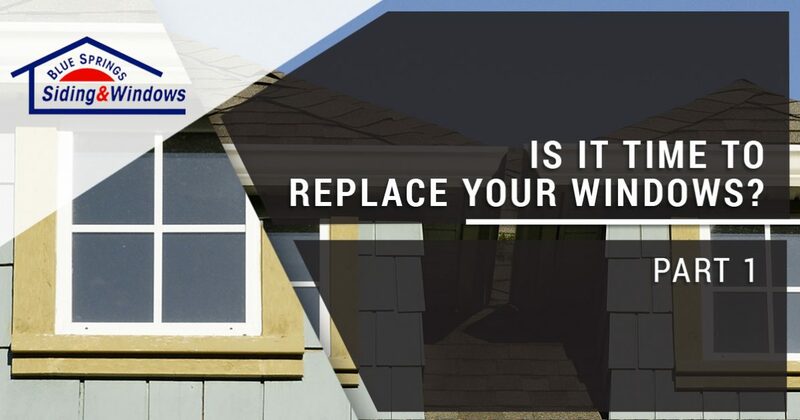 You can even purchase replacement windows designed to keep hot and cold air in your home, which can greatly reduce your utility bills over the next several years. Warped wood underneath the window is primarily caused by condensation forming on the inside of the window, which is an indication that the window is failing to keep moisture out of your home. Moreover, warped windows can lead to gaps forming between your window and your home, making it difficult to maintain a comfortable temperature in your home. If a storm hits, cracked windows make your carpets and wood flooring vulnerable to severe water damage, including warping and rotting. As we’ll note in the next section, warped windows can also allow unwanted noises to enter your home. Replacement windows can protect the wood in your home and prevent condensation from damaging the area around your windows. Do you overhear conversations as your neighbors pass by? Does the noise from your street keep you up at all hours of the night? If you’re frequently bothered by noises intruding into your home, your windows may be to blame. Both single- and double-pane windows tend to be poor acoustic insulators, and investing in replacement windows is one of the best ways to ensure that your home stays quiet and comfortable. If you live in close proximity to your neighbors, replacement windows can help you prevent noises in your home from bothering them as well – you’d be surprised just how far noises from the television and radio can travel, even at low volumes! 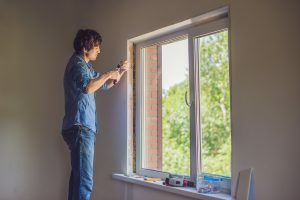 We hope that you’ve enjoyed this article, and if any of your windows exhibit these signs, contact one of our helpful window contractors today! Blue Springs Siding and Windows is proud to offer replacement window services in Kansas City and the surrounding areas, and we would love to help you with your next window installation project!